Each jar size 100 mm high without lid, 116 mm high including lid, 89 mm diameter at base, 78 mm internal diameter. 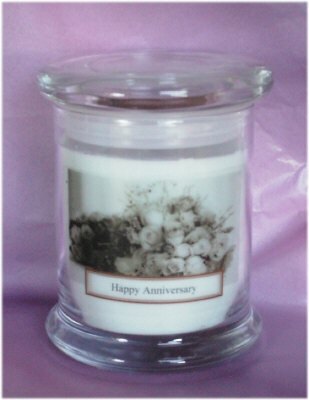 Don't forget you can also choose a message and scent of your choice from our customized range of this product (code 2023). 50+ hour burnt ime.